A young, grubby faced Confederate soldier, stooped over a small campfire tending to a cast iron skillet, looked up at me curiously. The soldier, small in stature and dressed in gray wools, gestured towards a trail that wound through the Confederate encampment into a thicket of pines, on the other side of which lived his enemy. He lifted a thick, greasy slab of bacon and a fat patty of freshly ground deer sausage from the skillet as an offering. “Welcome to the South,” he said with a wry smile. Campfire and cigar smoke filled the air. Drum beats and rifle shots echoed through the thicket. Men napped beneath trees on pine straw. Horses, tied to posts, seemed unperturbed by the gunfire. I noticed a Confederate woman stuffing a bottle of Pepsi and a pack of nabs under a pile of linens, and a middle-aged steel-faced soldier perched on a log, fiddling with a cell phone. It was 1 o’clock in the afternoon, two hours until battle. The Battle of Bentonville, fought in March 1865 on nearly 6,000 acres of rural farmland in modern-day Johnston County, marked the last major Confederate assault against Union forces. For three days, Gen. William T. Sherman’s army of 60,000 Union troops barraged Gen. Joseph W. Johnston’s 20,000 forlorn Confederate soldiers. The skirmishes wounded or took the lives of over 4,000 men and ended with a Confederate retreat on March 21. The battle, paramount to the history of the American Civil War as it came mere weeks before the Confederate surrender at Appomattox, holds great significance to our state as the largest battle on North Carolina soil. One hundred fifty years later, on March 21 and 22, 2015, several thousand re-enactors set up camp on that same ground. Around 65,000 spectators descended on the ad-hoc nineteenth-century military camp to witness a re-enactment that brought the Battle of Bentonville to life. Over the course of the weekend trenches were dug, cannons and guns were fired, artificial bodies were operated on, thread was spun, fifes and drums were played, and soldiers faked death. Federal and Confederate soldiers from North Carolina and beyond paraded through the camps onto the battlefield. Visitors in clothing that ranged from innocuous boy scout uniforms to eyebrow raising Confederate flag regalia wandered from site to site taking in the visual spectacle that was Bentonville. There was pomp and circumstance. Governor McCrory, joined by a host of North Carolina dignitaries, spoke from atop a trailer bed grandstand. Former Governor Jim Hunt was in attendance. The event announcer speculated it was the best attended re-enactment in North Carolina history. Not all re-enactors are as committed to historic accuracy. Dollar says some re-enactors choose to portray “whatever their imaginations want them to recreate” and others approach re-enactment as a social event, placing less value on accurate period behavior and material culture. The varied expressions of re-enactment leads to heated debates between participants, but the difference between the expert and amateur can be difficult for the public to discern. For many unseasoned observers, myself included, the costumed appearance of re-enactors gives all participants an air of expertise. Above all, re-enactors share a common conviction for history and a desire to educate the public about the past, but the road to re-enactment varies as does each impressionist’s interpretation of his or her character, and of the historic record. History, as always, is contested, and re-enactments are particularly powerful sites of competing historic interpretations. To re-enact is to embody history for a fleeting moment in time. It is to escape from daily life, to step out of the routine of everyday living and into a different era. It is to honor the lives of young men and women who participated in conflicts that have defined our nation. For Civil War re-enactors, it is to conjure the dead. Imagine for a moment that the photos you see are from March 1865. That the men, women and children pictured are the Americans whose lives have been fundamentally changed, or destroyed after four years of the American Civil War. That each soul pictured, for better or worse, is there in Bentonville prepared to die for a cause in which they believe. That's what the re-enactors hope you do. CALVIN CHAPELLE and his brother Will Chappelle founded Liberty Hall Fife and Drum Corps over two decades ago. During the war, fife and drum music notified soldiers of camp activities and of tactical strategy on the battlefield. BILL and MARSHA STROBERG drove in from Elizabeth City with a tent, two cots, and a space heater. Mr. Stroberg, a Civil War history buff, says re-enacting helps him understand what the historical figures he studies went through. CHEYNE MCKNIGHT (far right) of New York City, pictured here with Sheron Finley (NY) and Andy Finley (MD), started re-enacting after seeing a friend’s pictures of a reenactment on Facebook. She was there with a group re-enacting as free blacks who feel it is imperative to represent African-American involvement in the Civil War. A happenstance trip to a re-enactment years ago sparked CAROLYN BEASLEY’s interest in re-enactment. Pictured here as a weaver, Beasley makes yarn from the wool of sheep she and her husband raise on Heelside Farm in Four Oaks, North Carolina. RALPH AITKIN, from Lewistown, Pennsylvania, made a 505-mile journey to Johnston County to do an impression of a civilian embalmer. Embalming became a standard practice during the Civil War, and the mechanics of the trade have barely changed since. Aitkin challenged me to look for something modern in his tent, and said, “We do it as correctly as possible. We can back up everything we say and do from written documentation from at least two different sources.” Aitkin’s son encouraged him to reenact. He’s been doing it for over 15 years. Three guys and a tech company doesn’t exactly sound like a recipe for brewmaster success, but it was for Lonerider Brewing Company. For the last six years, Sumit Vohra, Mihir Patel and Steve Kramling, co-founders Lonerider Brewing Company, have built one of our state’s most beloved craft breweries and developed a loyal following of outlaws along the way. In the beginning, audacity was necessary. The trio of desperados founded Lonerider while on the clock at their respective day jobs. They decided the name of the brewery should reflect this cavalier spirit and landed on Lonerider to honor their daring gumption to evade the traditional confines of a cubical. Since opening in 2009 the brewery has grown decidedly. 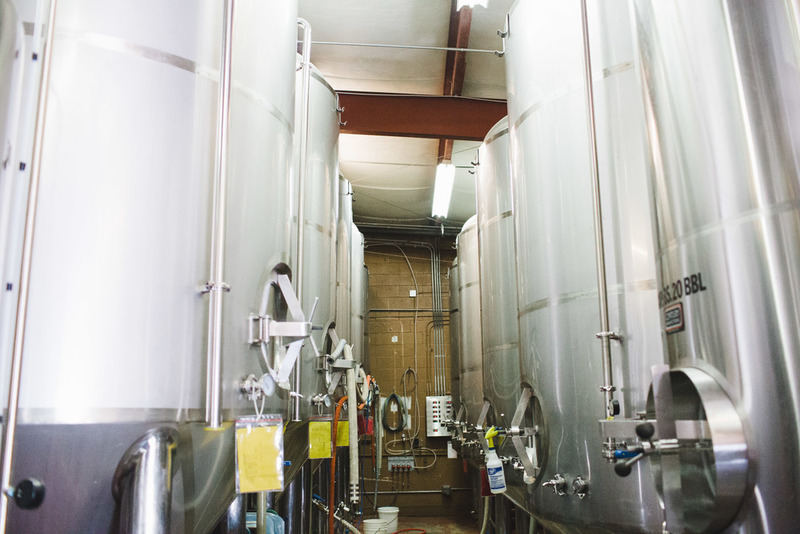 Lonerider has gone from producing 1,000 barrels of beer in its first year to 17,000 last year. Today their products are distributed in seven states throughout the southeast and mid-atlantic. Their success and devoted following isn’t surprising given the brews’ acclaim and evolving ingenuity. Londrider intertwines seasonal crafts and limited releases with crowd pleasing staples like the award winning Sweet Josie Brown Ale who took home a gold medal at the Great American Beer Festival in 2010. Visit Lonerider’s tap room, known as The Hideout, to sample this year’s spring seasonal, The Hops You Rode in On, and other special releases from the Most Wanted Beers series. Like any good team of outlaws, Lonerider seeks other adventurous men and women to join it’s community. It regularly hosts events at their homebase or in the community. Just last weekend the brewery celebrated its annual beer festival in downtown Raleigh, Lonerider Showdown. Among the revelry, they announced the winner of it’s Brew it Forward program: an annual competition for home brewers throughout the state. The winner’s bounty is a chance to brew their own creation in Lonerider’s brewhouse. So whether you're a cowboy or cowgirl, a bandit or a gunsmoke, head on down to the Lonerider’s Taproom or your local watering hole to restock on your favorites or to find yourself a new one.